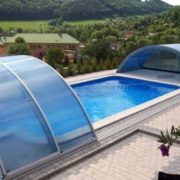 13 Ways to Stay Healthy at the Pool This Summer | Pinnacle USA, Inc.
Getting sick can put a real quick end to a summer vacation or weekend. Here are some safety tips and rules to practice when in the pool this summer. It’s tempting to make a beeline for the water. But experts say you should know what you’re getting into – literally and figuratively – before jumping into the pool. 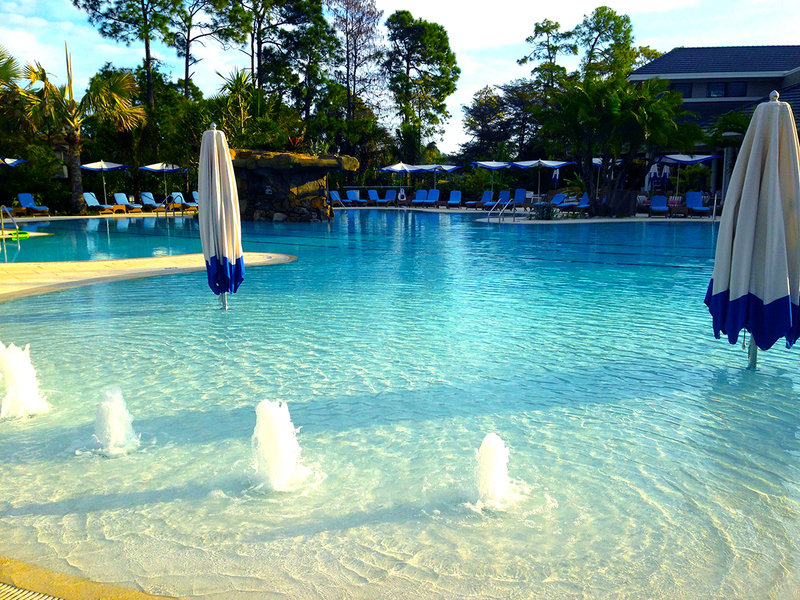 Wondering if your pool’s properly maintained? 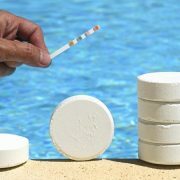 It’s easy to find out, says Tom Lachocki, who has a doctorate in chemistry and is CEO of the National Swimming Pool Foundation, a nonprofit that provides training and certification for aquatic professionals. Just buy some test strips – most are available at home improvement stores – that measure the pH and free chlorine level in the water. “These are the most important parameters; to make sure you have disinfectant in the water, and to make sure the disinfectant is working properly,” Lachocki says. Test strips are typically inexpensive, accurate and easy to use. Oil. Sweat. Sunscreen. Bug repellent. Makeup. Dirt. If it’s on your skin – and it’s been a while since you last bathed – it’ll soon be in the pool. According to a recent survey conducted by the Water Quality & Health Council, more than 40 percent of swimmers skip the shower and jump straight into the water. But to keep the facilities clean, it’s important to always rinse off before swimming, says Chris Wiant, chair of the Water Quality & Health Council, an independent group sponsored by the Chlorine Chemistry Division of the American Chemistry Council. It sounds like a no-brainer – don’t pee in the pool. But in a recent survey by the Water Quality & Health Council, 55 percent of respondents admitted to urinating in the water at least once. Aside from the obvious “ick” factor, there are health consequences of peeing in the pool, Lachocki says. The interaction between the ammonia in the urine and the chlorine in the pool forms a chemical called chloramine. Chloramine is less effective at killing bacteria than chlorine, and it can lead to an increase in water-borne illnesses. It seems obvious, but here’s this season’s reminder: Don’t drink or swallow pool water, this reduces your chance of becoming infected with a disease. Between sunburn, heatstroke, dehydration and low blood sugar, a long day at the pool can take a toll on the body. Lachocki recommends parents round up their kids at regular intervals for a quick food, water, sunscreen, and bathroom break. There are many myths suggesting that swimming in chlorine or salt water can help “disinfect” or clean a wound. In fact an open wound is an entry point for germs. Don’t go swimming with a major cut or injury. Pack some ear drops in your swim bag. The CDC says outer ear infections – which result from contaminated water getting trapped in the ear, causing bacteria growth – are the most common undocumented outbreaks at pools. Alcohol-based solutions can help drain and dry your ears, preventing a future trip to the doctor’s office. And wear pool shoes, such as flip-flops or rubber clogs, while walking around the deck or locker room. This way, you won’t get athlete’s foot. You can get hot tub rash – a bumpy, itchy infection that’s often caused by the germ Pseudomonas aeruginosa – if you’ve taken a dip in a poorly maintained pool or Jacuzzi. They’re uncomfortable but usually go away in a few days. However, you can decrease your risk of getting a rash by putting on a fresh bathing suit or changing into dry clothing shortly after swimming, Beach says. Leaving on a wet bathing suit increases exposure of contaminated water to the skin – which is why the rash is often worse in areas covered by a bathing suit than in other regions of the body. Morris says he’s heard increasing reports that poolside texting is becoming a safety hazard at community recreation facilities. It’s an understandable situation, he says. If you’re a parent, babysitter or guardian, it’s tempting to check your text messages while your ward runs around the pool area or splashes in the water. The lifeguard’s watching your child, even if you aren’t – right? 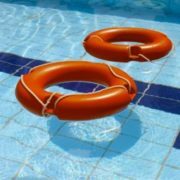 Your lifeguard is certified and trained in first aid, CPR and rescue techniques. However, those qualifications matter little if he or she isn’t able to adequately watch the swimmers. Some pool managers saddle lifeguards with additional responsibilities, such as pool maintenance or regulating guest behavior – a practice that’s a big no-no, Carroll says: A lifeguard should never be required to do anything that might keep him or her from providing immediate assistance to someone in the water. Say you think a water slide is unsafe, or your lifeguards need additional training. Speak to the pool’s supervisor or manager, Carroll says. Often, depending on the type of facility, you might have to dig deeper and contact local municipalities – a health department, a related in-state department or, in some cases, an agricultural department that also oversees swimmers’ health – to effect change.